Assault and battery are terms that are frequently used, but commonly misunderstood. Simple assault is defined as a verbal or physical threat of violence by an individual capable of carrying the act out which creates a reasonable amount of fear in which an act of violence is not committed. Simple battery is when the act of violence is carried out and physical harm is inflicted upon a person by another. The Fort Lauderdale criminal defense lawyers at The Ansara Law Firm have represented numerous clients charged with misdemeanor assault and battery. The defendant created a well-founded fear in the victim’s mind that the threatened violence was about to occur. Simple Assault is an easily defendable charge, because no physical violence has actually occurred, and the capacity or the legitimacy of the defendant’s ability or intent to carry out the threat can be called into question and the report of the incident as according to the police or the victim can be misrepresentative of the actual incident. The Ansara Law Firm has been representing clients charged with Simple Assault for over 10 years now, and continue to successfully defend them in front of the judge. When there are no aggravating factors at play, such as use of a deadly weapon, serious bodily injury or domestic violence, battery is called simple or misdemeanor battery. In order to charge someone with simple battery, the State must prove the defendant’s intent to touch or strike someone against their will. This protects people from being charged with battery when the touch or strike is accidental or when it is incidental to other conduct not aimed at touching or striking the other person. Similarly, when two people engage in a physical fight and there is no one party who is clearly viewed as the initiator or aggressor, it is referred to as “mutual combat” and both parties are considered to be at fault. Injuries are not a required factor when charging someone with simple battery. In fact, the touch or strike does not have to be upon the victim’s body, but something that is intimately connected with the victim’s person such as purses, wallets, cell phones, etc. For example a person who attempts to grab a purse or cell phone being held by another person could be charged with battery. Additionally, if an object that was thrown makes contact with another person against their will, a battery charge could be issued to the person who threw the object. If you were recently charged with simple assault and/or battery, call The Ansara Law Firm for quality legal representation. Numerous defenses can be made for assault and battery charges, and it is important that the defendant’s account of the incident is heard in court. 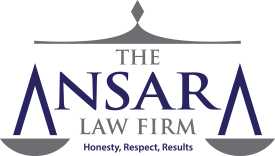 If you or a loved one were recently charged with simple assault or battery, call The Ansara Law Firm at (945) 761-4011 immediately for quality legal representation in South Florida.